Amanda Bynes, an American actress who starred in several television series and feature films. She has been a familiar face in celebrity news in recent years, often for strange reasons. Her story of odd behavior began in early March 2012 when she was stopped by California police for using a cellphone when driving. Soon after this incident, law enforcement in the West Hollywood area pulled her over and charged with driving under the influence (DUI). This was just the beginning of a long series of strange incidents, arrests and court appearances for the young actress. In September 2012, the actress was arrested for a hit and run automobile accident. As a result, the DMV suspended Bynes’ driver’s license. The charges were ultimately dismissed when she offered a financial settlment to the hit and run victim. In March 2013, Bynes was once more on the front pag of celebrity news sites when she was arrested for possession of marijuana at her home in Manhattan. Related to the case, she was also charged for tampering with evidence and reckless endangerment. Following the arrest, a judge ordered the actress to undergo a psychiatric evaluation at a hospital before being processed at the police station. Also, related to this incident, Amanda Bynes accused the arresting officers of sexual harassment, a charge the police department denied. The next incident occurred when she was arrested for starting a small fire in the driveway of a stranger’s house near Thousand Oaks, California. This bizarre event led to Amanda being hospitalized and kept under a 72-hour hold for mental evaluation. In August, her parents filed for conservatorship to assume control over her finances and her health. The judge agreed that she lacked the capacity to give an informed consent. As a result, she entered the Canyon Treatment Center in Malibu, California to obtain treatment. After successfully completing the rehabilitation program at the Canyon Treatment Center, Amanda moved in with her mother. Tamar Arminak, the family lawyer for the Bynes, issued a statement saying that the family is grateful to everyone who has contacted them with well wishes for Amanda’s safe and speedy recovery. Sources reveal that Amanda is eager to move out of her mom’s home and into her own place, but she will likely remain with her mother for at least a few more months. The 27-year-old actress expressed a desire to start her own clothing line and has even commenced a course in fashion design. She has been commuting regularly to class and is working hard on her career. Strange behavior by celebrities is nothing new. However, most celebrities spiral out of control and end up either completely dropping off the scene, or dying from a drug overdose. This is one positive example where her parents cared enough to get fully involved and took control of the situation. Now, Amanda is back on the path to getting her life together, and her parents are happy to have their daughter back. 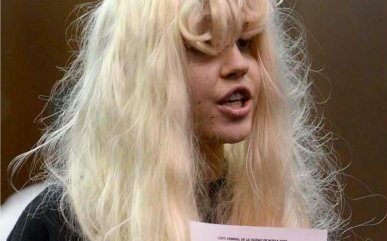 If you have any comments about Amanda Bynes and her odd behavior, please post a comment below. Also, get the scoop on other celebrity investigations.